Below a terrible picture that I took with my Nokia 5310 . My old Samsung did a better job.. But enough about my crappy phone. I will probably make a dedicated post about it in the future (probably not.. :P). And let’s talk about Epica. 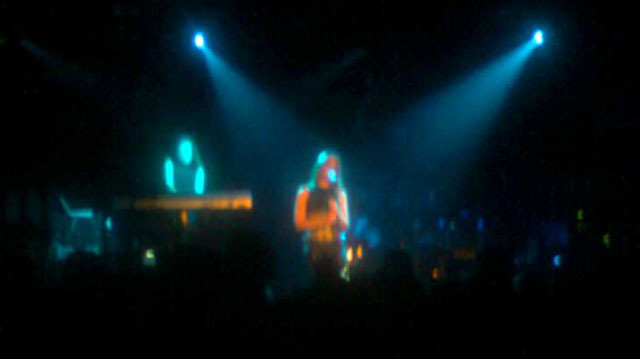 I have seen Epica four times now. Loved them very much. Except for their last concert they gave in Hedon in Zwolle. For some reason like can be read in my previous post, it was too loud volume wise. The audience was not allowed to enjoy the music. Come on I know it is metal… but even then it would be nice to hear some music instead of your ears blown out. All in all a very good performance especially Arien who was doing some grunting while playing the drums. Keep up the good work!